Over 11 years of business, founder James Robertson has taken Isle of Skye Candle Company from humble beginnings to serious retail success. What began with six months of experimentation and research has transformed into five brick and mortar stores and a deli/gift shop, as well as products so high-quality that they’re now sold by over 150 stockists. We spoke with James to get an inside look at how he’s done it and to learn why he chose Vend as his retail management solution. Keep scrolling for the interview! Tell us a bit about how you got started. 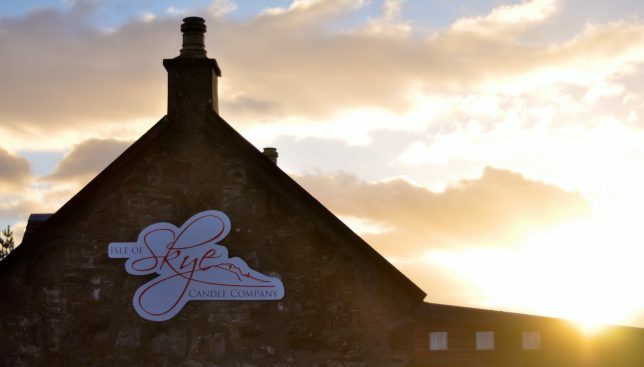 What’s Isle of Skye Candle Company all about? 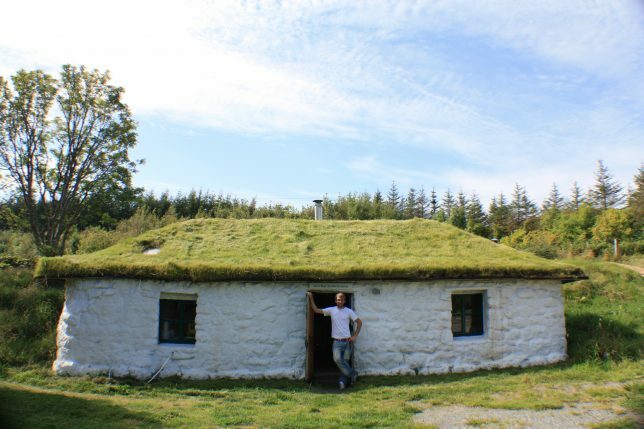 In 2006, I started working in a small shop on our island (Skye) that specialised in making aromatherapy products. It was a really cool shop, and the stuff they were making was all-natural and great quality. I loved working there and making these products, but I always knew I wanted to start my own business. It didn’t take long for me to spot a gap in the market. I noticed that the only thing they weren’t doing was making candles and that the stuff they were buying came from abroad and wasn’t very good quality. After about six months of research and experimentation in all sorts of natural waxes, I started the Isle of Skye Candle Company, producing the absolute best-quality soya candles at affordable prices. Fast-forward 11 years, and we now have five of our own retail stores plus a deli/gift shop. We also sell to over 150 stockists in the UK and export worldwide. The Isle of Skye must be one of the best places in the world to have a business. Not only is it stunning (with amazing mountains and fantastic coastlines), but the people here are all so friendly! As we have a relatively small population for the size of the island (just 10,000), word spreads pretty quickly — so if you’re doing something good, like making scented candles, people make a great effort to support it. My passion for what we do comes from a desire to get more people using natural products that are sustainable and don’t harm the planet. It just doesn’t make sense for people to buy paraffin candles any more, as soya ones burn cleaner, give off more fragrance, and don’t damage the environment. We switched to Vend from Lightspeed, and the difference is unreal. Lightspeed was a nice-looking system but really lacked functionality. What takes minutes to achieve in Vend took hours in Lightspeed, and they wanted to charge you at every corner. When we were reviewing other epos systems, what made us go with Vend was the fair price, offline reliability (needed on an island), and amazing customer support! We haven’t looked back. My advice to anyone starting out would be to adopt technology wherever you can. Although it may seem like a lot of cost, the time you’ll save will more than make up for it. Retailers who are starting out in this day and age are so lucky to have so many cloud-based retail solutions like Vend, iZettle, and Shopify to help them get off to a flying start. Although we’ve adopted these, I would’ve loved to have them from the beginning. It would’ve saved us a few tough lessons, and it would’ve been amazing to see the business progress on them. It’s my best retail tale now, but at the time it was one of the most stressful situations I’ve been in. We were opening our Inverness store, and our move-in date kept getting pushed back by the landlords. December came around, and we still weren’t in — and knowing how important Christmas is for sales, we gave the landlords an ultimatum. Either we moved in on Friday, December 3 or we didn’t take the building at all. They relented. We were in at 9:00am that morning, but it didn’t take long to see that the building was a complete wreck. We had to rope in everybody we knew and work with very little sleep over that weekend. We ripped down walls, replaced floors, rewired, plastered, painted, put signage up, set up the tills, unloaded stock, and dressed the windows. We finished work at 4:00am on Sunday night and opened at 9:00am Monday morning! How does Vend help you succeed (e.g. increasing stock efficiencies, improving customer loyalty, saving you time)? With Vend, you can get amazing detailed reports in an instant. This has helped us introduce staff competitions where we give out prizes to staff with the best margins (highest basket values for certain months, etc.). The reporting also really makes stock control a breeze and has helped us reduce our stock levels in all our stores so we have more cash in the bank and less sitting on our shelves. Your business is very inventory-intensive. How do you keep track of all your stock? We keep track of the stock across all our stores exclusively through Vend. Management love it, as it makes it so easy to reorder products that are low in stock and also see which items maybe need to be dropped. Staff love it, as stock-takes now only last a few hours rather than a whole day and can be fitted into their normal working hours. Customers love it, as it makes sure we always have what they want in-store when they want it. Do you use any other cloud-based tools alongside Vend? How has moving to the cloud helped your business? Over the last two years, we’ve moved all our systems online and really gone all in on the cloud. This has been a bit of a pain setting up, as migrating data always has its complications — but it’s amazing now that we’re there, and it puts us in a great position for growth. Follow Isle of Skye Candle Company on Facebook and Instagram, and make sure to visit one of their 5 stores if you’re in Scotland! 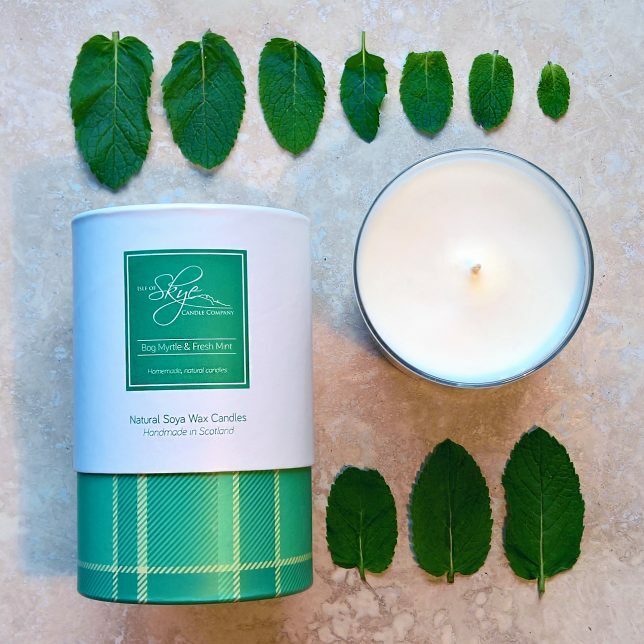 The post Vender of the Week: Isle of Skye Candle Company appeared first on Vend Retail Blog. For home and gift shops, the retail landscape is more competitive than ever. Since these stores sell a lot of what consumers might consider commodities, it’s easy to lose out on establishments selling the same items for less. Fortunately, your business doesn’t have to undergo the same fate. With some creative and modern tactics, you’ll be able to differentiate yourself and win over customers without competing on price or products. Gift wrapping – Consider offering gift-wrapping services in your store. Not only will it serve as a convenient option for shoppers, but it can put extra revenue in your pocket at the same time. Even if the service itself is complimentary, you could use boxes and wrappers as upsells to shoppers. Consultations – Depending on what type of store you’re running, you could provide consultations to help customers make the right purchases. Check out what The Container Store is doing. The retailer, which specializes in storage and organizational tools, offers an in-home organization service called Contained Home. For a fee, a professional organizer will come to your home and offer advice as well as organizational services to spruce up your space. 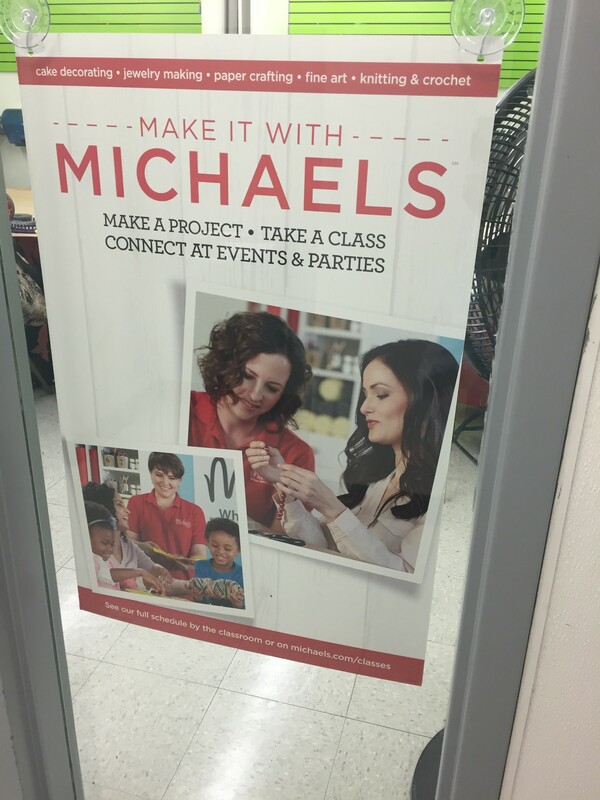 Classes or events – Bring people together in your shop for a few hours of learning and mingling. Plenty of forward-thinking retailers are now holding in-store classes and events that drive traffic, sales, and customer engagement. Take for instance, Michael’s. To better connect with customers and add value to the in-store experience, the arts and crafts retailer holds classes on various DIY or art projects. Topics include cake decoration, knitting, jewelry making, and more. Serve food and drinks – If it makes sense for your business, why not offer on-site dining options? It’ll give people more reasons to swing by–and-stay–in your store. A good example of this in action can be seen in Sustainable NYC, a store that focuses on green and sustainable products. Sustainable NYC has a cafe on-site, which according to owner Dominique Camacho, has been a boon for business. “We love how people come in here every five minutes. Just having the traffic—it makes a difference,” she told GiftShopMag.com. Understandably, having an in-store cafe isn’t always feasible, but that doesn’t mean you can’t apply a few food and drink components in your store. Why not hold events and serve nibbles or hors’devours? Or consider offering some refreshments to your customers as they browse your shop. Mobile POS – If you’re still using a cash register to manage your retail business, consider adopting a modern point of sale system to streamline various business processes and enhance the shopping experience. Many point of sale solutions these days go beyond simply letting you ring up sales. A lot of them come with inventory and customer management features that can make running your store a whole lot easier. When it comes to the in-store experience, these solutions allow associates to assist shoppers better. Tablet-based tools allow them to serve customers from anywhere in the store and mPOS systems can reduce lines at checkout, so customers can get what they need much faster. Case in point: Borough Kitchen. The cookware retailer stays on top of operations during their busiest hours with the help of their iPad POS. Whenever things get busy in-store, they simply switch open their additional iPad registers so they can serve customers faster. Robust reporting and analytics – Having access to the right insights can help you make more intelligent business decisions. This is why it pays to invest in reporting and analytics technology that’ll help you collect and analyze the data you need. Most modern POS solutions come with their own reporting features, so if you’re already using one, be sure to take advantage of your provider’s data and analytics tools. Ideally, you’ll want a solution that tracks important retail metrics including revenue, margins, profit, conversions, and more. One great example of a gift shop that’s making good use of reports is Podarok. The UK-based retailer drills down on their sales data and makes staffing and product decisions accordingly. The above-mentioned technologies are just a few examples of tools that you can adopt in your business. They’re certainly worth checking out if you’re looking to upgrade things in your store. However, the best way to determine which technologies are right for you is to do a bit of research yourself. Identify any issues in your store and look into how technology can address them. Once you’ve found tools that you can implement, test them out and gather feedback from users to find out if they’re right fit for your store. If your products aren’t selling, you should consider freshening up your merchandise. Go out there, talk to your customers, see what’s trending, and use those insights the next time you order new products. That’s what Cat Socrates, a beautiful design shop in Singapore, is doing. According to owner Hellen Jiang, Cat Socrates has a lot of regular customers, so keeping their product assortment fresh is a must. You should also consider attending trade shows, as these events can offer insights into the latest trends. If you’re in the gift and homeware industry, notable events you could attend include ASD Las Vegas, the Autumn Gift and Home Fair, and Las Vegas Market. For more tips on how to find great new products for your stores, check out our previous post, Keeping Your Inventory Fresh: 4 Excellent Product and Supplier Sources Retailers Can Tap Into. Staying competitive in the gift and homeware industry can be tough, but with the right products, tools, and in-store strategies, this task is completely doable. We hope the tips above gave you some ideas that you can implement in your stores. 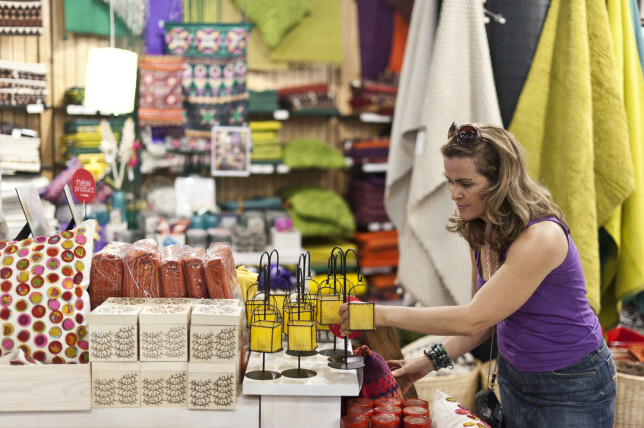 Have more tips for gift shop and homeware storeowners? Weigh in below. The post 3 Powerful Tips for Running a Thriving Gift Shop and Homeware Store appeared first on Vend Retail Blog.